Get ready for some FUN !!! When was the last time you laughed so hard you nearly burst ??? 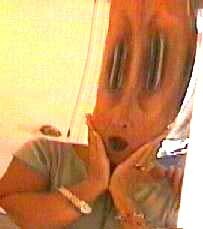 When was the last time you looked in the mirror and saw something amazing ??? SOME USES INCLUDE: Slimming dressing mirror, Workout mirror, party display, Overhead mirror :) , Aquarium background, Cool decoration, privacy window treatment, light reflector, Spooky mirror, And of course a Carnival Mirror for parties!!! Awesome for Halloween front door! Everyone stands in front and appreciates seeing themselves as they search for candy. We are in hundreds of haunted houses and hope you enjoy a good fright! Our mirrors have been displayed in countless libraries, doctor's offices and places of worship. Even on the back of many bar doors as a joke and we hear about many other funny uses...One super cool dude was really happy about his newly renovated van ceiling ... A Carnival Mirror and thick shag carpet made him the talk of the community. But our humble mirror is also in many a luxury touring bus and private jet as it is lightweight, safe and reflects light perfectly. It is often used to increase the output from all sorts of low heat lighting fixtures. It has saved lives as a signal mirror or fire starter too. Check out its many other uses ! 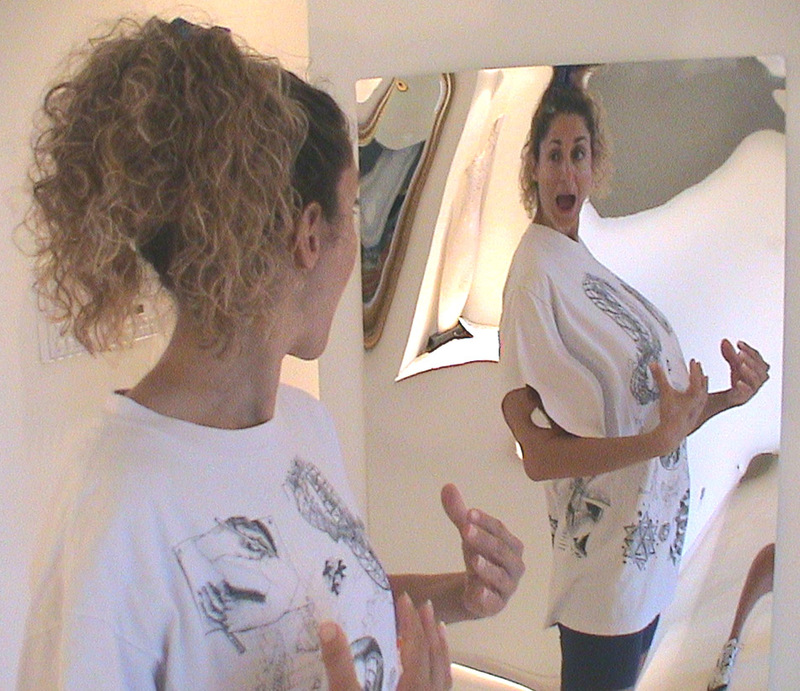 A true story; I had just made the first supply of Carnival Mirrors in 1997 and decided to secretly set one up for my wife as an insert on our bathroom mirror...well it was night time and she did not notice it when we went to bed at 10pm...but she wondered why I was giggling before I fell asleep... 4:45 am I was awaken by a frightful scream as my wife who had just seen something in our bathroom came leaping onto the bed for protection from the " AWFUL LOOKING GHOST " It took me a few seconds to wake up and fully understand what she was saying. When I saw the look on her face I laughed so hard I fell off the bed. A few seconds passed and she figured out that the ghost did look a bit familiar. She swatted me with a pillow as I continued to laugh down there on the carpet for several minutes. We still giggle about that " AWFUL LOOKING GHOST "
Have fun and keep laughing! We all need some fun. E-mail us your Carnival Mirror story or picture, we just might post it.